CAE Healthcare today announced at the Transcatheter Cardiovascular Therapeutics (TCT) 2014, the world's largest educational meeting specializing in interventional cardiovascular medicine, that it is delivering a simulation-based solution to Abiomed, a leading provider of breakthrough heart support technologies, for its Impella® heart pump education programs. Using the CAE VIMEDIX platform as a springboard, CAE developed a training solution for Abiomed's education program that integrates a custom ultrasound simulator. The simulator allows physicians to practice the placement of Abiomed's Impella device in the left ventricle in real-time, under fluoroscopy and transesophageal echo, as well as transthoracic echo for monitoring. Several educational tools are leveraged, including augmented reality and high-fidelity physiology models in order to help trainees gain confidence performing this new procedure. "CAE Healthcare is proud to have been selected by Abiomed, a leading provider of breakthrough heart support technologies, as its partner of choice to develop a custom simulation solution to help improve its education programs," said Dr. Robert Amyot, President of CAE Healthcare. "Our unique technology allows physicians to learn how to perform minimally invasive procedures in the catheterization lab." "Abiomed is committed to investing in the most advanced technologies to supplement our educational programs," said Michael R. Minogue, Chairman, President and Chief Executive Officer, of Abiomed. "Our partnership with CAE demonstrates our responsibility to providing high quality training tools for our customers." CAE Healthcare and Abiomed are showcasing their new educational solution at Transcatheter Cardiovascular Therapeutics (TCT) 2014 on September 13 to 17 in Washington, DC. 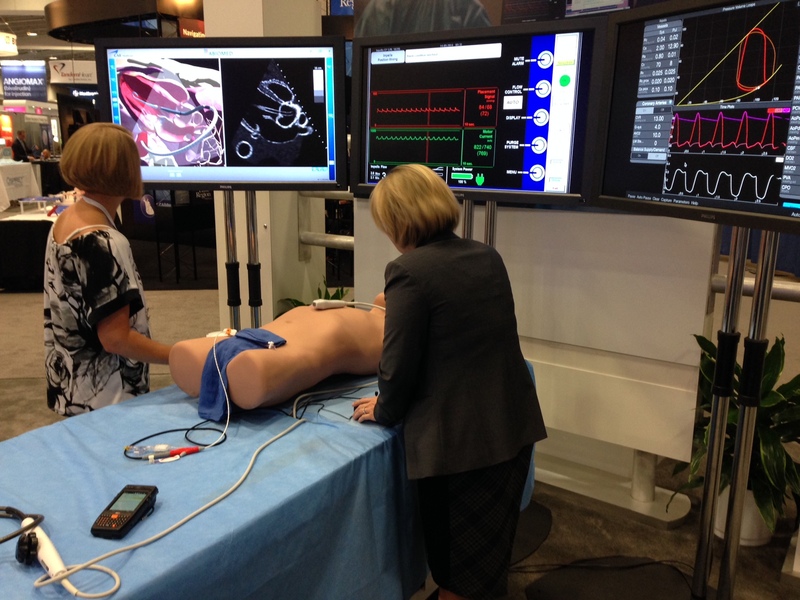 See the CAE Abiomed Impella Simulator at Abiomed's booth #1309. See the CAE VIMEDIX simulator at CAE's booth SIM04. To learn more about the CAE VIMEDIX ultrasound simulator, visit www.caehealthcare.com. To learn more about the Abiomed Impella visit www.abiomed.com.